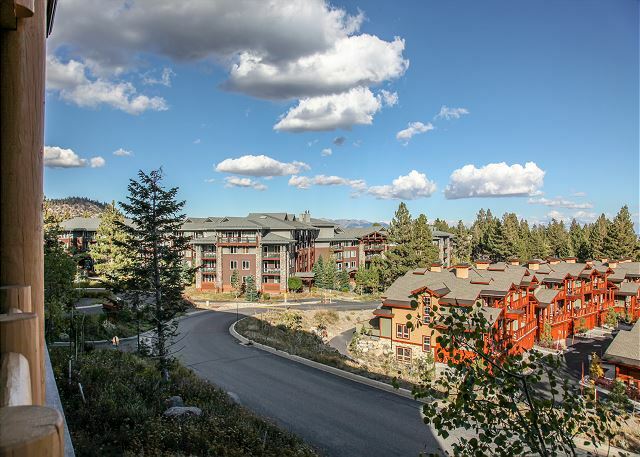 This is a beautifully upgraded 1 bedroom, 1 bathroom, ski-in, ski-out condo at Sunstone Lodge with terrific views over Mammoth Lakes. This well-appointed vacation rental features a flat screen TV in the living room with a cozy gas fireplace, luxury furnishings, custom built-ins and custom paint throughout. The dining area comes equipped with a custom wood dining table with seating for 4 and a kitchen fully equipped with all the amenities. 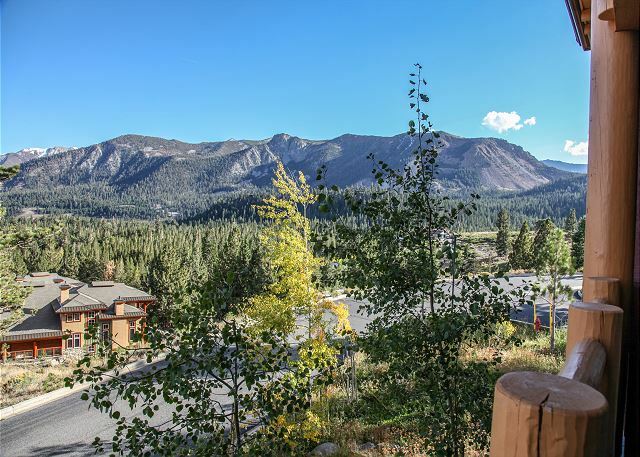 There are spectacular views of the Sherwin Mountains and the town of Mammoth from the outdoor deck too! Very nice place and being ski in and ski out made the skiing weekend very enjoyable. 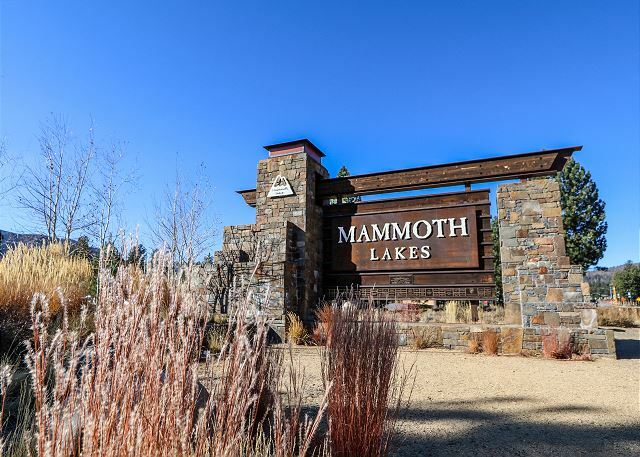 We love the Sunstone property, location and amenities and Mammoth Sierra Reservations is a reliable and responsive service for booking our lodging. This unit was not as well equipped as the typical condos we've experienced in multiple other visits. We like to cook breakfasts and dinners in the condo to save money and the kitchen of #103 lacked pot and pan lids and other kitchen utensils we expected to find. Coincidentally, the fireplace didn't work when we arrived, but Mammoth Sierra took care of that in a timely manner. Thanks. Unit was clean. Provided a lock for our equipment to be kept in a locker. Easy access to ski lift. Also like the gated underground parking. 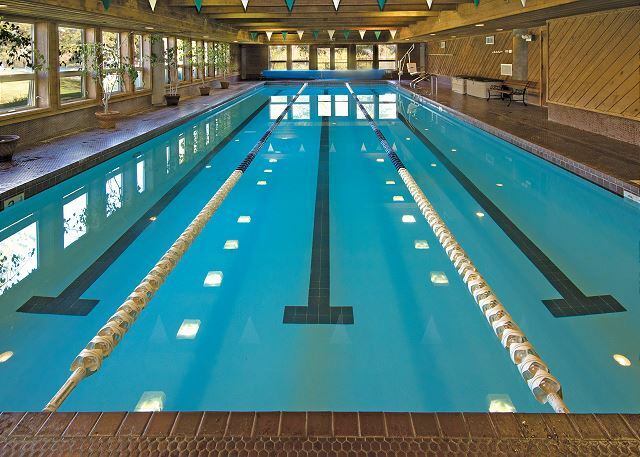 We definitely hope to stay at this complex again! Great condo. Very clean and up to date. Easy to get keys from property manager. Nice pool and spa. Biggest Mammoth storm in 10 years!!!! Snowed in. 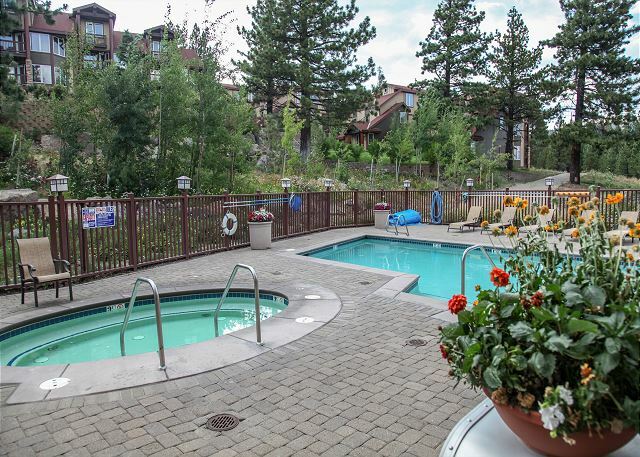 Condo was perfect- view, fireplace and under ground covered parking. 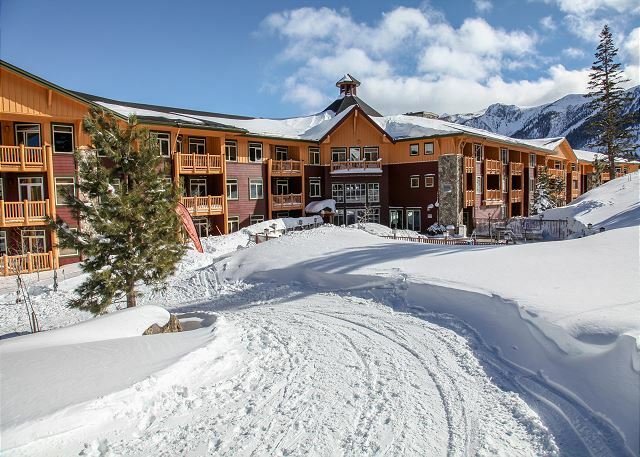 Very nice, very convenient for skiing in/out for eagle runs and taking lunch break. Condo was clean, nicely decorated and accommodated two adults very nicely. I would not recommend this condo for four adults even though it sleeps four with a sofa bed. Two small children would be just fine. Also, be aware that there is no A/C in this unit so it gets quite warm in the morning during a summer stay. Nights are cooler so sleeping was good. I thoroughly enjoyed staying at this condo, and I especially appreciated that the unit has a reverse osmosis water filtration system. 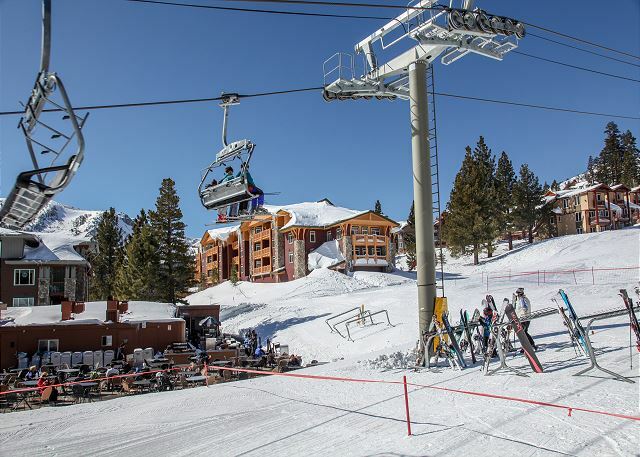 I also liked the availability of luggage carts for bringing everything to the room, and the lockers and lock provided for the skis and equipment. 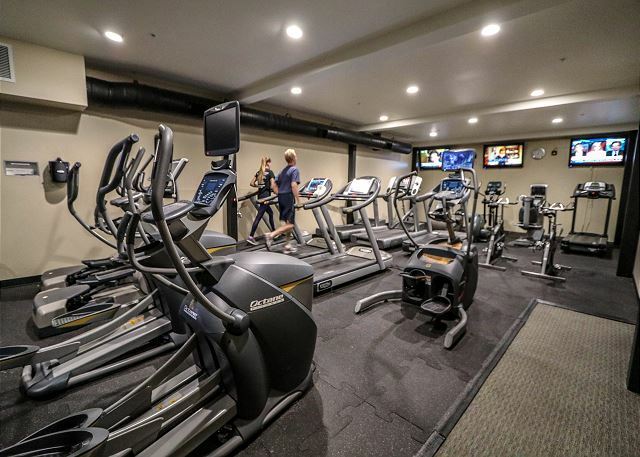 I also liked that outside the 1st floor lobby, you can ski in and ski out of the building, and there is a fitness center available. My only (minor) complaint was that the sofa sleeper was too uncomfortable for my sister to sleep on, and the king size bed in the bedroom was just a bit too soft or thin for me and I thought I felt the springs when sleeping on my side. But I did sleep pretty well despite that. Also you should know this room is farthest away from the "lobby" where you ski in and out. But then, I am out of shape and walking in my ski boots to the room was uncomfortable. Other than this, I would certainly rent here again. 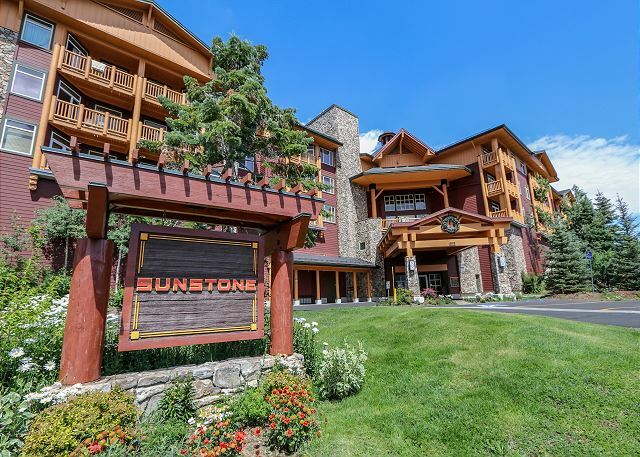 We have always enjoyed staying at Sunstone. 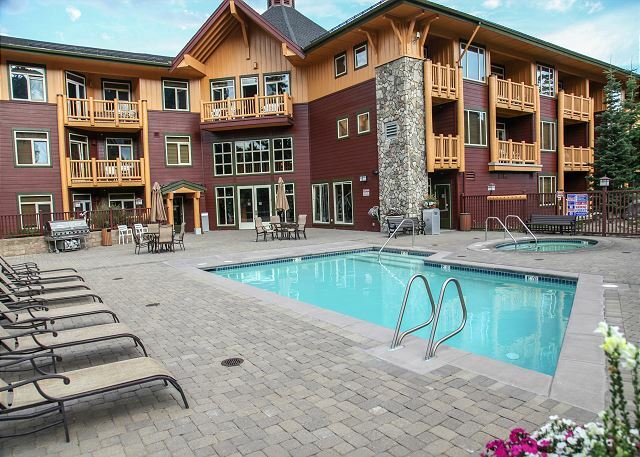 It's a great ski-in/ski-out location. This was the fourth time I've stayed in this unit. Still great. Generally a good experience. Please fix refrigerator: temperature control does not work and food gets frozen...same experience in previous year, thought it would get fixed. GOOD. BUT MOTHER NATURE DID NOT COOPERATE. 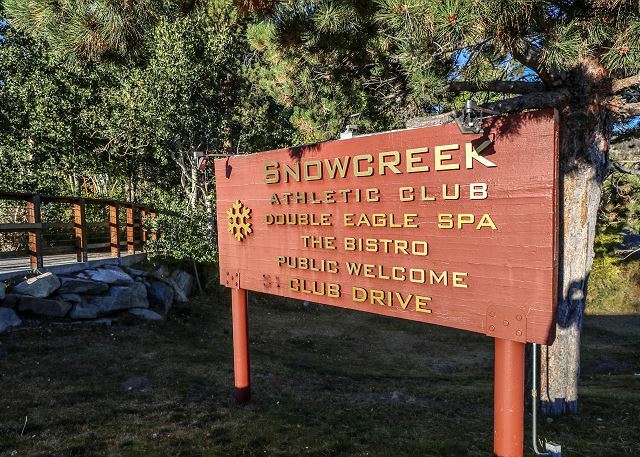 Nice property ski-in and out of Eagle Lodge. Plus: water purifier, comfortable bed. Minor problem: humidifier is supplied but doesn't have filter......very dry in winter; need functioning humidifier. Overall, great stay and recommended. 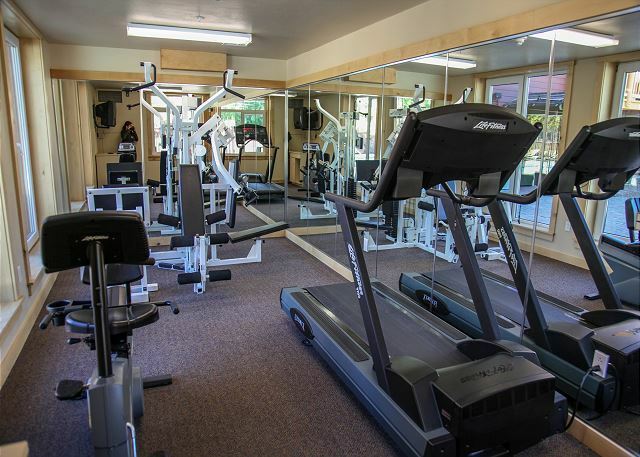 Clean and comfortable unit, professional rental staff, ideal location! Great location, away from traffic. 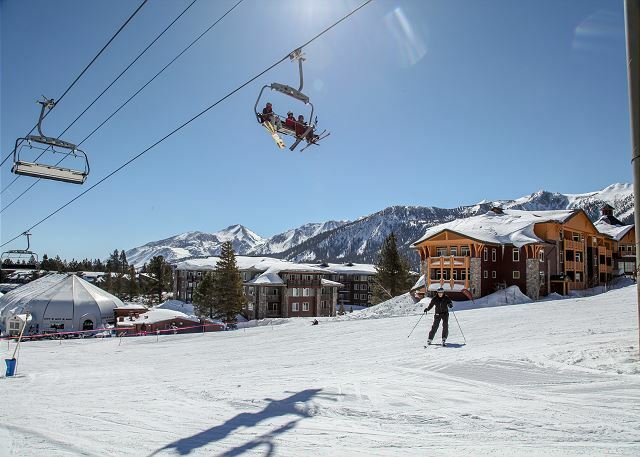 The Sunstone property is steps (or a very short glide on your skis) from the bottom of the Eagle express lift. We parked our car in the underground garage on arrival and didn't move it until we left. 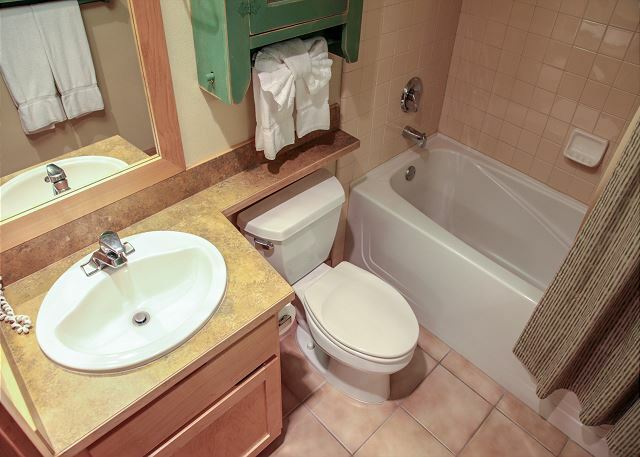 So, location is great, but this is a fairly small unit, and was fairly tight for the 4 of us. Would be great for 2. On the President's weekend, with everyone using it, the wifi was useless. Second time I stayed in this unit was as good as the first. Great view of the valley. Unit gets a little warm from about 11 am - 2 pm but I don't stay here to hang out inside. I don't want to recommend this to others because I want to stay here again. The unit was very nice and everything met my expectations. I would definately rent this unit again. Great Location, nice view. I'd stay here again. We loved our stay at the Sunstone # 103. Thank you. Condo was great. Location was great. That being said there were some slight issues. There is only one door/window you can open in the condo for ventilation. That door has no screen. We stayed in July and it reached temps in the 80s inside our unit. There was no AC and no way to get fresh air without allowing mosquitoes and bugs in too. I'm the kind of person that likes fresh air and there was really no way to get that. I'd also like to state that I'm the kind of person that gets cold at 72 degrees and I found it stifling in the unit and in the building hallways and common areas. I'm sure it's different in the winter, but a little too warm for the summer. Otherwise, this place was beautiful and well worth the summer rates. we have stayed at this condo before and will again. however we must remember there is no air conditioning!!! Great view...beautiful place...trails outside the door! We loved the condo at Sunstone. It was beautifully decorated and very comfy, but the best part was having a view. It was our first trip out of town with our 3 month old. It made a great home base for exploring the area and was great to have the trails right under the lift or hiking and biking. Only reason for 4 star, not 5, is that the weather was very hot and there was no AC or fan. They did bring us a fan for the second night. Would definitely stay again! Such a nicely decorated, cozy place. Wouldn't try to fit more than 2 people, though. ONLY complaint: had to flip the mattress (never been done before?) and remove the waterproof (noisy and uncomfortable) mattress pad. Then all was OK! We will be back for sure! 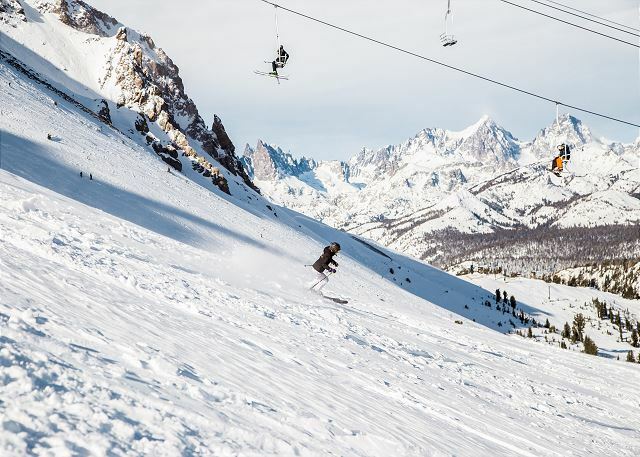 Best ski in ski out location at Mammoth!! Have stayed at Sunstone a number of times, this unit had some great personal touches, very clean and very enjoyable!!! Would ask that there be flexibility on a late check out, if I were to stay in this unit, have received the consideration on other rentals, different managing company in the past. 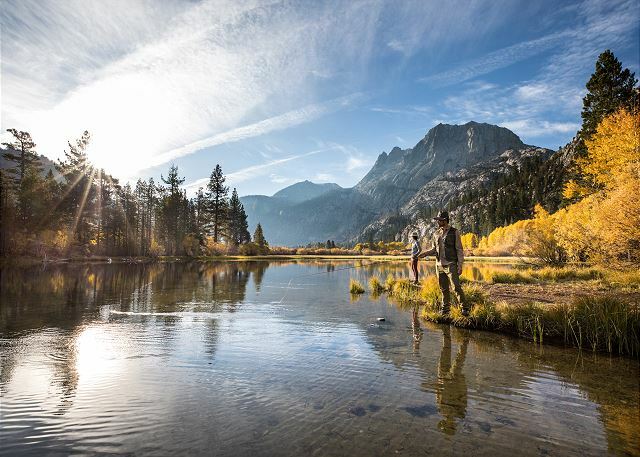 great location and accommodations. will definitely return again. 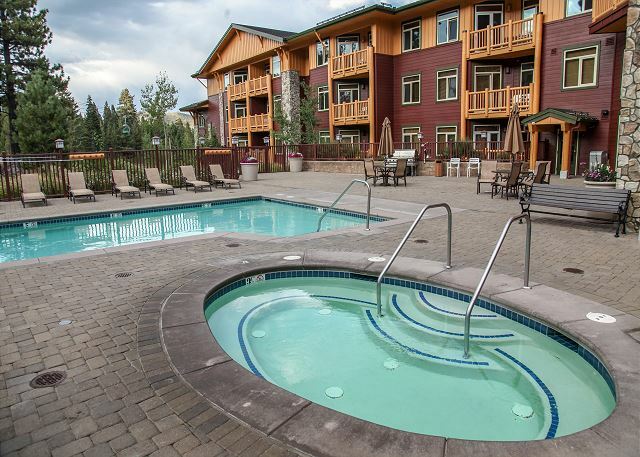 As we have experience with several Sunstone properties, this one was no exception to the rule - great location, wonderful facilities, beautiful units. Compared to other one bedrooms this was a little smaller but the owner has made the best possible use of the space with lots of hooks for hanging up wet items and everything new and clean. Definitely recommend this property. with the exception of the TV not working properly, the stay was nice.